Home leggings matte leggings splash leggings two in technicolor Two in Technicolor - Folake of Style Pantry! Two in Technicolor - Folake of Style Pantry! 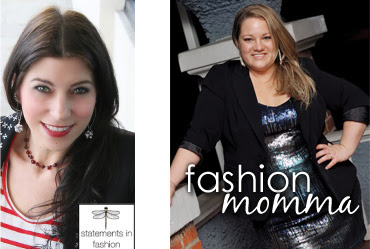 Kimberly of Fashion Momma and Collette of Statements in Fashion! Every other week Kimberly and Collette will feature a fellow blogger they've recruited to get the scoop on We Love Colors tights. Kimberly and Collette are both fashionistas AND mothers so we're so excited to send them out into the blogosphere with their unique perspectives! Click here to read the first installment of Two in Technicolor! Folake Huntoon is the popular blogger behind Style Pantry. She truly is a wealth of fashion information and inspiration! In addition to having one of the most unique and fashion forward styles I've ever seen, Folake is also an amazingly talented woman who is the owner of her own children's clothing line. Folake was gracious enough to take time out of her super busy schedule to try We Love Colors Splash Matte Leggings in #7306 and answer a few questions for us! When you are getting ready for your day, does the idea of leggings usually get you excited to get dressed? If not, what could make leggings a more central accessory in your wardrobe? We Love Colors carries leggings for women of all shapes and sizes: How important is fit when it comes to your clothing choices? Fit is key. That is the foundation of every outfit or clothing. Without the proper fit, everything else goes wrong. Comfort is important to most moms, but we generally would like it if our "comfortable clothes" also look awesome! Did you find your We Love Colors leggings to fit in the "comfort zone?" Yes, most definitely. As mentioned earlier, I'm not a big fan of leggings (unless they can pass for a pair of pants, the fabric is thick and/or features some sort of special accents). These We Love Colors Tie Dye leggings are great. What is your favorite color to wear? To decorate with? I'm a fan of colors. Give me any bright-colored piece of clothing and I'm good to go. Why do you love these legging colors so much? Compared to leggings that you have previously worn, what did you enjoy most about wearing a We Love Colors product (ie: durability, thickness, tag in the back)? Comfort, durability, thickness, high waist, and the elastic waist does not roll down like other brands do. Thank you to the Two in Technicolor team and to Folake of Style Pantry! Folake looks incredible! Get it in those splash leggings, lady! You make it look so easy! 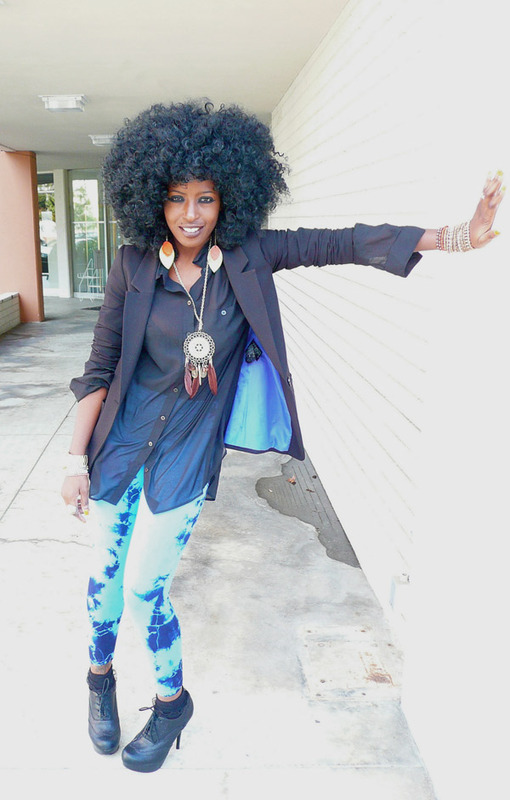 What an awesome eclectic style she has! I am intrigued by the fact that she says the elastic waist doesn't roll down! That is what I hate most about leggings/tights. 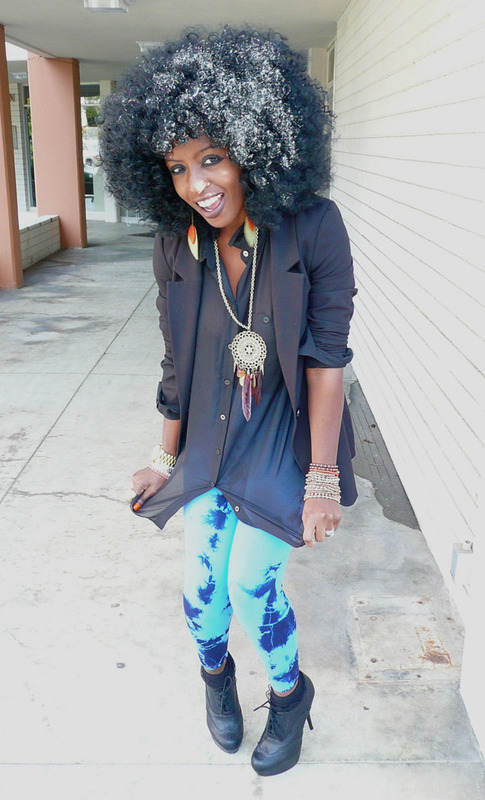 Rock on Folake.....seriously..you look absolutely gorgeous in these leggings!! Because of your interview...I think I'm going to try a pair as well!!! Thanks again girl!! I love her outfit! Amazing look!